Main Film Genres: Listed below are some of the most common and identifiable film genre categories, with descriptions of each type or category. If you're interested in the chronological history of film by decade - visit the section on Film History - by Decade or the multi-part section on Milestones in Film History. 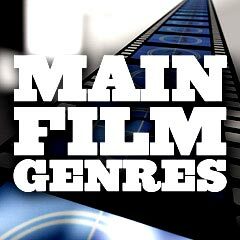 Select an icon or film genre category below, read about the development and history of the genre, and view chronological lists of selected, representative greatest films for each one (with links to detailed descriptions of individual films). 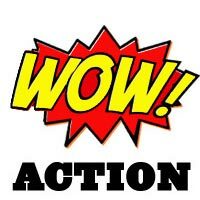 Action films usually include high energy, big-budget physical stunts and chases, possibly with rescues, battles, fights, escapes, destructive crises (floods, explosions, natural disasters, fires, etc. ), non-stop motion, spectacular rhythm and pacing, and adventurous, often two-dimensional 'good-guy' heroes (or recently, heroines) battling 'bad guys' - all designed for pure audience escapism. Includes the James Bond 'fantasy' spy/espionage series, martial arts films, video-game films, so-called 'blaxploitation' films, and some superhero films. (See Superheroes on Film: History.) A major sub-genre is the disaster film. See also Greatest Disaster and Crowd Film Scenes and Greatest Classic Chase Scenes in Films. Adventure films are usually exciting stories, with new experiences or exotic locales, very similar to or often paired with the action film genre. 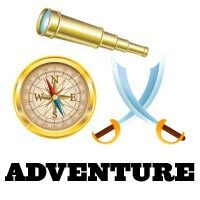 They can include traditional swashbucklers or pirate films, serialized films, and historical spectacles (similar to the epics film genre), searches or expeditions for lost continents, "jungle" and "desert" epics, treasure hunts, disaster films, or searches for the unknown. 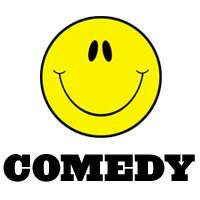 Comedies are light-hearted plots consistently and deliberately designed to amuse and provoke laughter (with one-liners, jokes, etc.) by exaggerating the situation, the language, action, relationships and characters. This section describes various forms of comedy through cinematic history, including slapstick, screwball, spoofs and parodies, romantic comedies, black comedy (dark satirical comedy), and more. See this site's Funniest Film Moments and Scenes collection - illustrated, also Premiere Magazine's 50 Greatest Comedies of All Time, and WGA's 101 Funniest Screenplays of All Time. 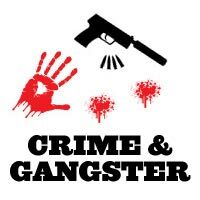 Crime (gangster) films are developed around the sinister actions of criminals or mobsters, particularly bankrobbers, underworld figures, or ruthless hoodlums who operate outside the law, stealing and murdering their way through life. The criminals or gangsters are often counteracted by a detective-protagonist with a who-dun-it plot. Hard-boiled detective films reached their peak during the 40s and 50s (classic film noir), although have continued to the present day. Therefore, crime and gangster films are often categorized as film noir or detective-mystery films, and sometimes as courtroom/crime legal thrillers - because of underlying similarities between these cinematic forms. This category also includes various 'serial killer' films. 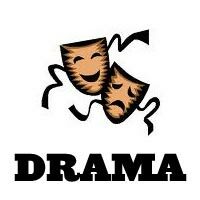 Dramas are serious, plot-driven presentations, portraying realistic characters, settings, life situations, and stories involving intense character development and interaction. Usually, they are not focused on special-effects, comedy, or action, Dramatic films are probably the largest film genre, with many subsets. See also melodramas, epics (historical dramas), courtroom dramas, or romantic genres. Dramatic biographical films (or "biopics") are a major sub-genre, as are 'adult' films (with mature subject content). 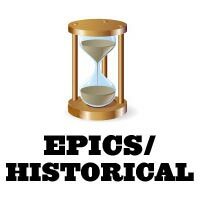 Epics include costume dramas, historical dramas, war films, medieval romps, or 'period pictures' that often cover a large expanse of time set against a vast, panoramic backdrop. Epics often share elements of the elaborate adventure films genre. Epics take an historical or imagined event, mythic, legendary, or heroic figure, and add an extravagant setting or period, lavish costumes, and accompany everything with grandeur and spectacle, dramatic scope, high production values, and a sweeping musical score. Epics are often a more spectacular, lavish version of a biopic film. Some 'sword and sandal' films (Biblical epics or films occuring during antiquity) qualify as a sub-genre. Horror films are designed to frighten and to invoke our hidden worst fears, often in a terrifying, shocking finale, while captivating and entertaining us at the same time in a cathartic experience. Horror films feature a wide range of styles, from the earliest silent Nosferatu classic, to today's CGI monsters and deranged humans. They are often combined with science fiction when the menace or monster is related to a corruption of technology, or when Earth is threatened by aliens. 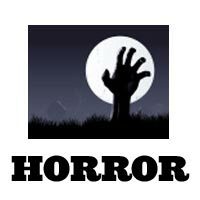 The fantasy and supernatural film genres are not always synonymous with the horror genre. There are many sub-genres of horror: slasher, splatter, psychological, survival, teen terror, 'found footage,' serial killers, paranormal/occult, zombies, Satanic, monsters, Dracula, Frankenstein, etc. See this site's Scariest Film Moments and Scenes collection - illustrated. Musical/dance films are cinematic forms that emphasize full-scale scores or song and dance routines in a significant way (usually with a musical or dance performance integrated as part of the film narrative), or they are films that are centered on combinations of music, dance, song or choreography. Major subgenres include the musical comedy or the concert film. 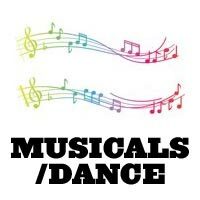 See this site's Greatest Musical Song/Dance Movie Moments and Scenes collection - illustrated. Sci-fi films are often quasi-scientific, visionary and imaginative - complete with heroes, aliens, distant planets, impossible quests, improbable settings, fantastic places, great dark and shadowy villains, futuristic technology, unknown and unknowable forces, and extraordinary monsters ('things or creatures from space'), either created by mad scientists or by nuclear havoc. They are sometimes an offshoot of the more mystical fantasy films (or superhero films), or they share some similarities with action/adventure films. Science fiction often expresses the potential of technology to destroy humankind and easily overlaps with horror films, particularly when technology or alien life forms become malevolent, as in the "Atomic Age" of sci-fi films in the 1950s. 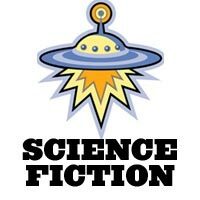 Science-Fiction sub-categories abound: apocalyptic or dystopic, space-opera, futuristic noirs, speculative, etc. 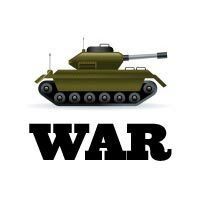 War (and anti-war) films acknowledge the horror and heartbreak of war, letting the actual combat fighting (against nations or humankind) on land, sea, or in the air provide the primary plot or background for the action of the film. War films are often paired with other genres, such as action, adventure, drama, romance, comedy (black), suspense, and even historical epics and westerns, and they often take a denunciatory approach toward warfare. They may include POW tales, stories of military operations, and training. See this site's Greatest War Movies (in multiple parts). Westerns are the major defining genre of the American film industry - a eulogy to the early days of the expansive American frontier. They are one of the oldest, most enduring genres with very recognizable plots, elements, and characters (six-guns, horses, dusty towns and trails, cowboys, Indians, etc.). They have evolved over time, however, and have often been re-defined, re-invented and expanded, dismissed, re-discovered, and spoofed. 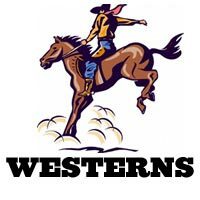 Variations have included Italian 'spaghetti' westerns, epic westerns, comic westerns, westerns with outlaws or marshals as the main characters, revenge westerns, and revisionist westerns. the 100 Greatest Films are marked with a . They are broad enough to accommodate practically any film ever made, although film categories can never be precise. By isolating the various elements in a film and categorizing them in genres, it is possible to easily evaluate a film within its genre and allow for meaningful comparisons and some judgments on greatness. Films were not really subjected to genre analysis by film historians until the 1970s. All films have at least one major genre, although there are a number of films that are considered crossbreeds or hybrids with three or four overlapping genre (or sub-genre) types that identify them. The Auteur System can be contrasted to the genre system, in which films are rated on the basis of the expression of one person, usually the director, because his/her indelible style, authoring vision or 'signature' dictates the personality, look, and feel of the film. Certain directors (and actors) are known for certain types of films, for example, Woody Allen and comedy, the Arthur Freed unit with musicals, Alfred Hitchcock for suspense and thrillers, John Ford and John Wayne with westerns, or Errol Flynn for classic swashbuckler adventure films.